Castleton State College received a A-. Washington Monthly's ranking of 226 out of 246 of Liberal Arts Colleges - Overall Rank was a major contributor to this grade. "This small state school that values the individual enrolls about 1500 undergrads in over 30 liberal arts and pre-professional programs. 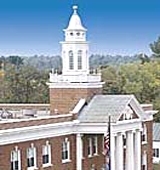 Though the area immediately surrounding Castelton offers little to do, Vermont's second largest city of Rutland is only 12 miles away. Also nearby are the Green Mountains where you'll find "the best skiing and snowboarding in New England." What are the top 3 reasons someone should attend Castleton State College? What is a typical Castleton State College student like? Describe the type of person that should attend Castleton State College. What are the top 3 things that students do for fun at Castleton State College? A program that focuses on the scholarly study of children's and adolescent literature and that may enhance the professional work of teachers, librarians, publishers, booksellers, and creative writers. Includes instruction in period and genre studies, author studies, literary criticism, studies of various types of literary text, book artists, and children's films. Any instructional program in English language literature not listed above. The average student pays $15,161 for tuition, fees, and other expenses, after grants and scholarships. Learn more about financial aid at http://www.castleton.edu/financialaid/index.htm. Estimate the net price for you at http://csc.studentaidcalculator.com/survey.aspx. Castleton State College participates in the NCAA Division III for college athletics. Want more info about Castleton State College? Get free advice from education experts and Noodle community members.